Thanks to website builders, creating a website is so easy nowadays that even a complete beginner could build a website in minutes. In fact, the most complicated thing you’ll have to do is remembering the password for your website builder account. The days of expert coding, setting up servers and IP addresses are, thankfully, gone. These days, creating a website using a website builder is more akin to creating a smart-looking Powerpoint presentation, rather than hacking into the Pentagon. Modern website builder tools help you every step of the way. You’ll be able to use professionally-created, smart-looking website templates that help you create a great website. Plus, there’s loads of jargon-free help available should you get stuck. If you’ve been putting off creating a website because you think it’s too hard or too time-consuming, now’s the time to prove yourself pleasantly wrong. In this guide, we’ll walk you through all the steps along the way to creating your website. First things first: You can’t build a website without a website builder. Website builders are software programs designed to make the process of creating a website fast and easy. When using one, you’ll be able to control the content and design of a website without contracting out to a high-priced web developer to hardcode the website. Anyone can use a website builder: They’re aimed at complete beginners. You won’t need design skills or coding degree, just a laptop with an internet connection. There are loads of website builders out there, and at Tech.Co, we’ve meticulously reviewed the top performers, judging them on features, ease of use, help and support options, and more. Squarespace is one of the best, thanks to its vast suite of useful templates, and Weebly is a strong contender as well, but our highest-scoring website-builder is Wix. We think Wix is great because it’s incredibly easy to use, has tons of help and support options and is priced very competitively. Its high approval rating from users doesn’t hurt, either. If you want to know more about Wix, you can read our full review here. Still, there are plenty of website builders to choose from. We’ve put the main ones through extensive independent tests to work out which are the best. Here’s a quick comparison that might help you figure out which is best for you. We’re going to be using Wix as an example here, as it’s our top choice. While it might not be exactly the same with every website builder, the experience isn’t that different. You’ll be asked to choose what your website is going to be for – will it host an online store, are you going to run a blog, is it going to be for a restaurant or a business? There’s also an “other” option which will take you straight through to the template editor – more on that later. You’ll then be presented with a filtered list based on the selection you’ve just made. Some of the categories are filtered even further – if you pick “Restaurants & Food”, for example, the templates are then filtered by what type of business: Catering & Chef, Cafe & Baker, Bar & Club, etc. Once you’ve picked your template – and don’t worry, they’re all pretty darn good – you can go straight into editing your site. If you don’t fancy any of these templates, though, you can always pick a blank one – although it will be a bit more work. If you’re wondering why you haven’t even picked a name for your website yet, fear not, we’ll come to that later. So now you’ve picked your template, we’re onto the actual website-development-y part of the process. The template will be pre-loaded with stock words and images which you can chop and change to your liking. Want to see just how easy it can be? Click on the image below to see a website editor in action! Uploading an image is as easy as it is when uploading one to Facebook or Twitter. If you don’t have any to include, you’re typically loads of stock images to choose from as well. Changing the text is, again, pretty straightforward – all you have to do is click on the bit of text you’d like to change and you’ll be able to type straight into the text box. You can also adjust the size and style of each bit of text, but it’s worth remembering that each font will generally be consistent with the template, so making radical changes might make it look a bit odd. 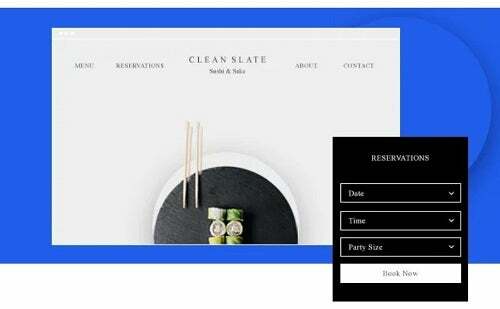 Wix, like most other website builders uses a grid-based, drag-and-drop system for page editing. This means that it’ll be straightforward to keep each element on your page in line and when you want to add a new text box, image, or any other type of element, you’ll be able to see, at a glance, how to fit it onto your page. You’re also able to change the pages on your site, whether they scroll straight into one another, and a host of other site-wide factors from the settings or pages menu, rather than with the grid-based editor. This can feel slightly confusing at first, but it works to keep the page-specific content separate from the overall site navigation and usability. You’ll also be able to add elements beyond text boxes and images with Wix and other website builders. These might include, for example, restaurant menus, contact forms or social media feeds. Again, you’ll be able to drop these onto the page and line them up using the gridlines. 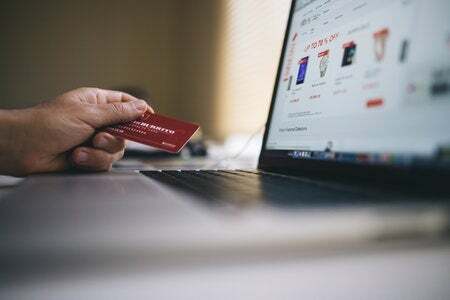 You might find that some apps and functionality is reserved for paid-for plans but typically this is for ecommerce functions such as stock tracking and shipping costs. When we talk about a website’s domain, we’re basically talking about the website’s address. For example, Tech.Co is the name of our website, and the domain is https://tech.co. You’ll typically want your website’s domain to correspond with the name of your business, blog or whatever purpose you’re running it for – just so you don’t confuse people. Try writing up a list of possibilities and pick the best. Most website builders will give you a free domain to get started with – but they’ll often have the name of the website builder shoehorned in. My imaginatively named cupcake restaurant, Cupcakes, would have the domain https://tomfogden.wixsite.com/cupcakes. It’s not exactly catchy, and you probably wouldn’t want to have your Wix username at the front of it. In order to remove this paraphernalia from your domain name – yep, you guessed – you’ll have to pay. Fortunately, with most website builders, including Wix, this comes as part of the cheapest plan. Should you already be the proud owner of a domain, you’ll be pleased to know that you can connect a pre-existing domain to the website builder. You’ll find the option to do this on the site settings page. While you can connect an existing domain with Wix, this feature isn’t universal for website builders, so it’s worth investigating beforehand. Don’t get started with a website builder only to find out later there’s an additional fee for connecting an existing domain, or that it’s not possible at all. Step 5: Publish Your Website! That’s it, with all your content loaded up and the design perfected, a registered domain and having signed-up for the perfect payment plan – you’re ready to publish. Before you do, though, it’s probably worth getting someone you trust to take a look over the site – an errant spelling mistake might be the difference between a sale, a booking or a commission! The fun isn’t over though. You’ll be able to – and you should – go in and update your website in case anything changes, or you just fancy changing some of the content. This will keep your site looking and feeling fresh for anyone who visits. Most website builders will let you create and run a simple website for between $8-15 per month. You might want a larger website or greater functionality. More advanced sites will cost another $5-10 per month. If you’re just starting out though, it’s always worth investigating whether the website builder package you’re after offers a free trial or a free version. What free versions are good for is giving you a bit of leeway to get your site right before publishing it – otherwise you might worry you’re throwing money down the drain. 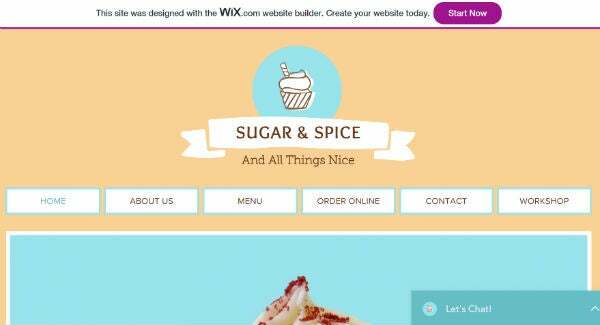 Wix offers five pricing packages, including a free version. Technically you can make your whole website on this free version, but we wouldn’t recommend it as it will limit your options significantly. With Wix, the cheapest option is the $11/month Combo plan, which doesn’t remove adverts, and limits your bandwidth – which might create issues for visitors to your site. The VIP plan offers the most storage and features such as email campaigns and VIP support, but costs $29/month. But we’d recommend the Unlimited plan: At $14 a month, it probably offers the best compromise between all of the packages. Should You Pay For a Web Designer? While you certainly can pay someone to build you a completely bespoke website, this can be a lot of money for a task you’d be able to do yourself. With Wix, and other website builders like Weebly or Squarespace, you can build a website which is just as good, for a fraction of the price of hiring a professional. There are even some advantages to not hiring a designer and using a website builder – beyond the money you’ll save. If you build your own website, you’ll have a complete understanding of how it works, and, you’ll be able to fix any issues that may arise after you’ve published. That’s yet more money saved down the line, versus hiring a contractor to fix issues. You’ll also be able to consistently build your knowledge of web design, rather than being presented with a website that you don’t really know how to work – teach a man to fish, and all that. You might also, derive some sense of personal satisfaction from building your own website! Find out more – What Is A Website Builder? 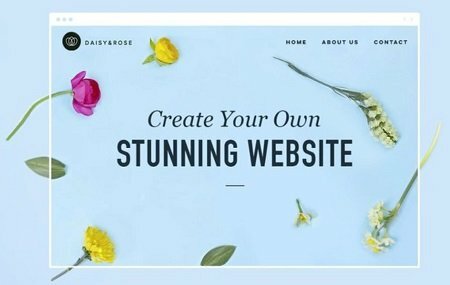 Can You Create a Website for Free? Short answer? Yes. Long answer? Yes, but you probably shouldn’t. Limited bandwidth – This sounds techie, but it’s basically the data that needs to be transferred for a user to actually visit your site. Free website builders, are likely to limit the bandwidth available to you. This means that not all users will be able to visit your site. Adverts – Now, a lot of websites display adverts. But not many of them display adverts for the piece of software used to build the website – it just doesn’t look very good. Free website builders, will, without exception, leave these adverts on your site. Not a great look if you’re running a business. Domain name – Pick a free website builder plan and your website’s domain name is likely to have the name of the website builder you’ve used bolted-on. This will not only look unprofessional, you might even get penalised by Google’s algorithms if people are searching for you business. Limited features – Some website builders will massively restrict the features you have access to on a free plan. It’s unlikely that you’ll be able to sell products, or install advanced analytics tracking, for example. 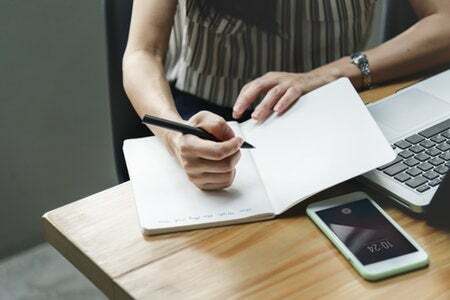 That’s all fine if you’re publishing a blog, but these might be crucial to the success of your site if you’re running a business. So if you follow these five steps, creating a website is incredibly straightforward — especially with a great website builder such as Wix. Whether you need a blog, business site or an online store, the easy, drag-and-drop editing tools and attractive pricing packages make it the perfect place to start. 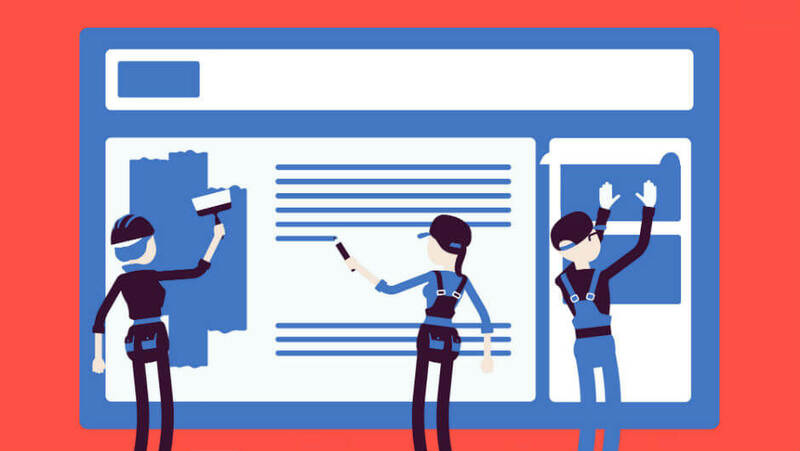 Of course, it’s not the only website builder out there — check out our round-up of the best website builders for business for more options.